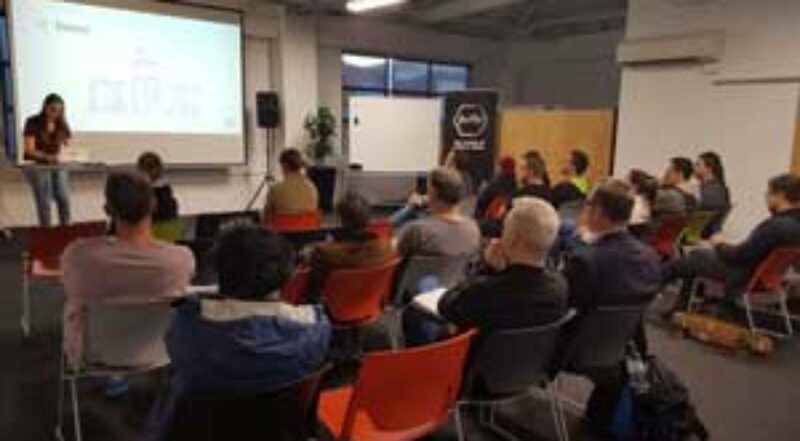 It was good to get everyone out of the woodworks for another Wellington Blockchain Meetup. 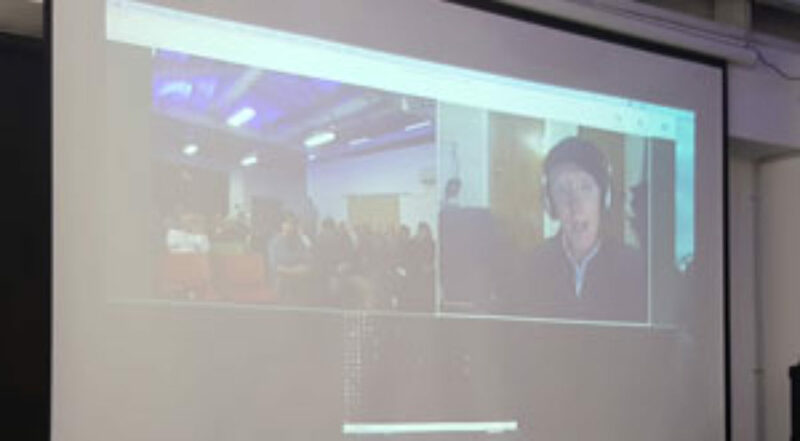 Morne talked about Hashgraph and had a great presentation zooming in and out of the various points and his fancy logitech pointer that could also zoom as well! Jevon presented CryptoFolio which is a web application allowing anyone to keep track of their cryptocurrency portfolio. 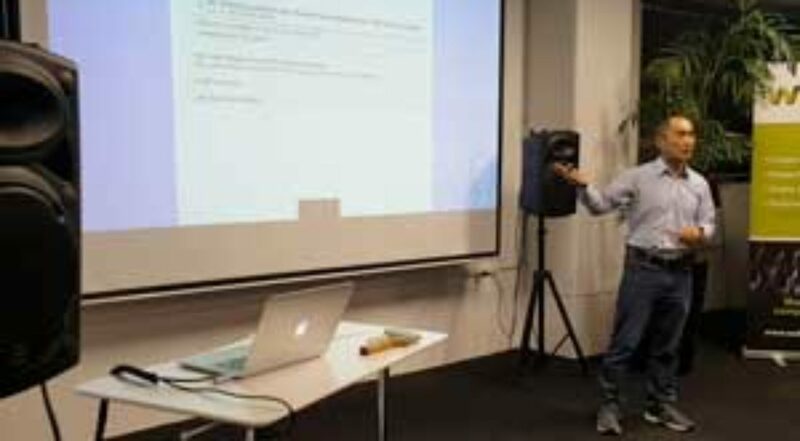 Finally we had Del Rajan from Victoria University talking about a paper he co-wrote with Matt Visser on Quantum Blockchain Entanglement in Time. Just the title is enough to make you think wow. 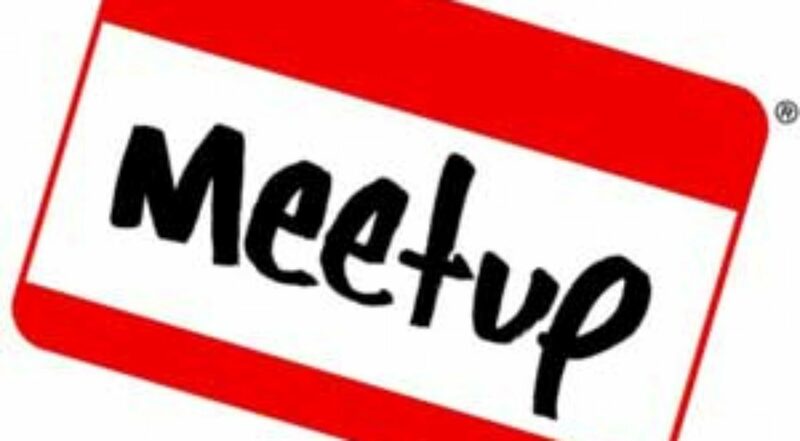 Keep an eye out for the next meetup, everyone is welcome and if you have something to share, get in touch! It was great to see the dedicated ones turned up yesterday on a beautiful Saturday morning to learn about MetaMask and Remix and deploy a hello world smart contract. 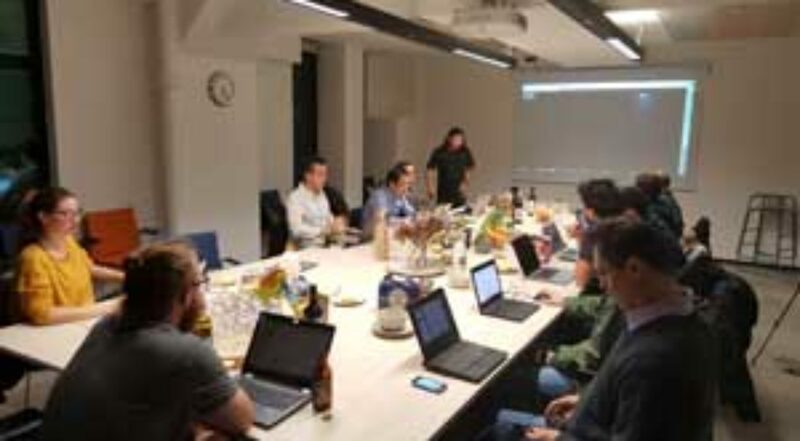 We went through the following topics: Install MetaMask Get some test ether Mixing it up with Remix Hello World Compile and deploy captain! Interactive with your smart contract Understanding the code Bonus code It really was about downloading and installing MetaMask, getting some test ether, opening Remix and deploying 4 lines of code and seeing the contract on the Etherscan. It was great to see some new faces and hopefully the learning by doing is helping those who actually want to get a better understanding of what this technology can do. Next week we’ll be looking at MyEtherWallet (MEW) and also creating professional paper wallets on photographic paper with holographic stickers as souvenirs or gifts or just if you want something physical to tuck under your mattress. There will be a catch up meetup on Tuesday 5:30pm for the city folks. 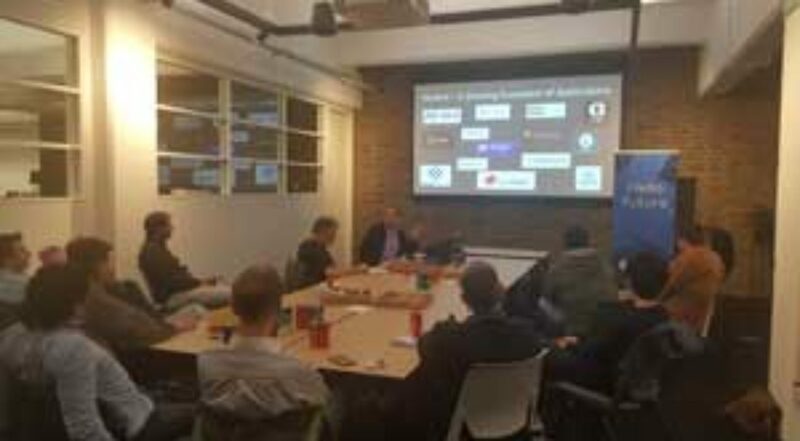 Details of that can be found at: https://www.meetup.com/smartcontracts/events/246629747/ If you missed the meetup but want to check out the topics, visit: https://blockchains.learndot.com/ and connect with us on Telegram: https://t.me/joinchat/G84KThDRZaXOJsxa7oQHmw Catch everyone next week. 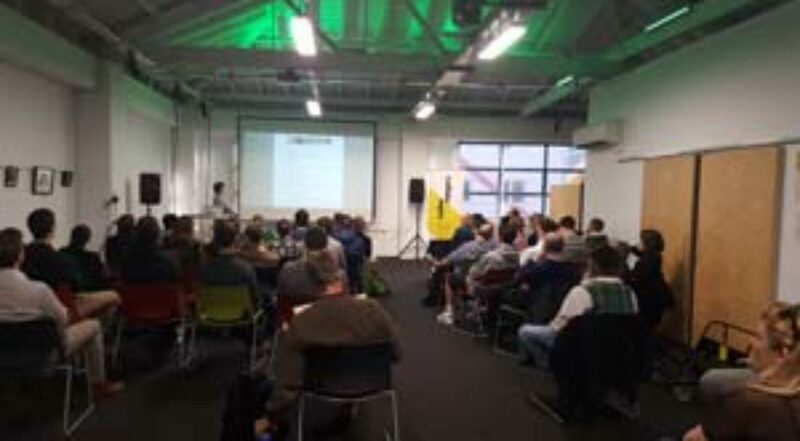 We had a wonderful turn out for our last Wellington Blockchain meetup of the year. About 65 people attended and we even had pizza’s and drinks as well! The speakers were great. 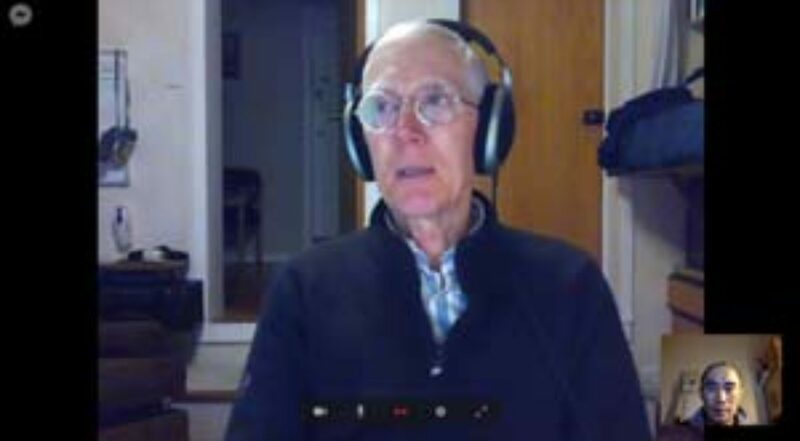 First we had Steve Lowe from Standards New Zealand talking about TC307. 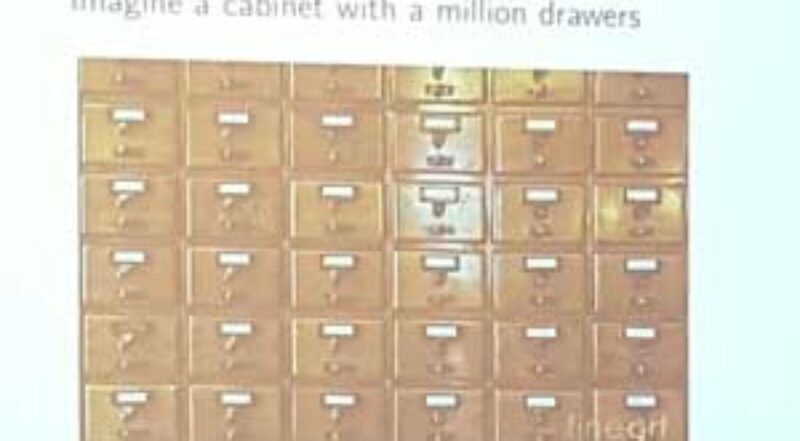 Blockchains will get it’s own ISO number soon!!! Geoff Ward-Marshal from DLA Piper shared the regulatory aspects of ICOs. There was a lot of information to consider. 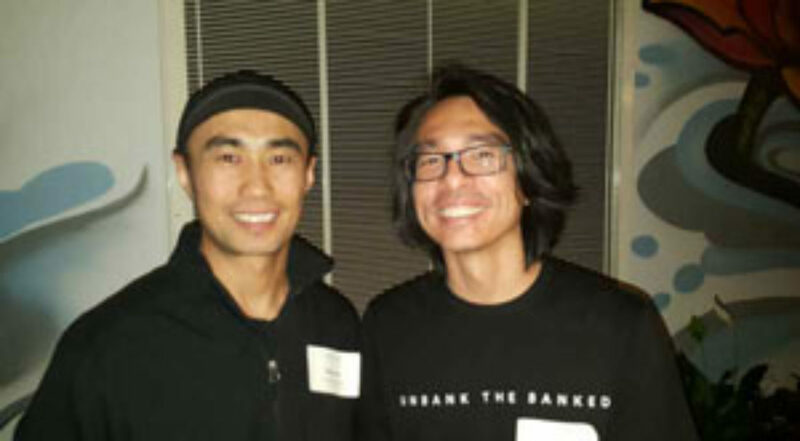 If you think you can raise $5M in 5 minutes and run away with your lambo, think again! Finally we had Jason and David from the NEM who are based in Melbourne and doing a tour of NZ promoting NEM and raising awareness of what NEM can do in the blockchain space. Thanks to all that came, thanks to the speakers and wishing everyone a wonderful Christmas! 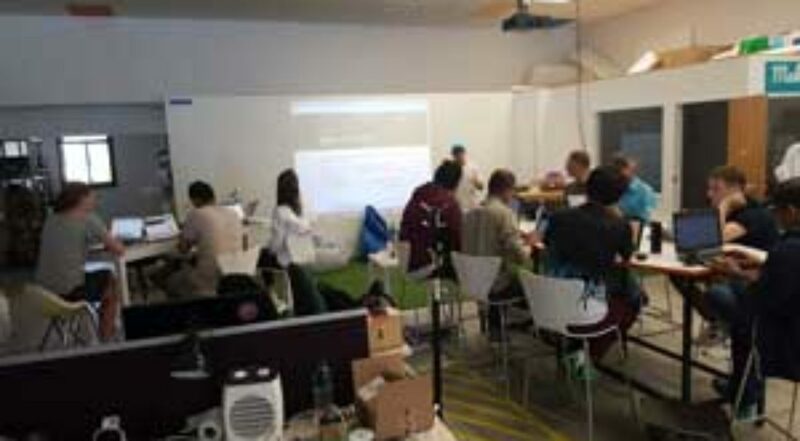 I have never been to a hackathon before so thought I’d volunteer and see what they are like. This one was pretty neat. 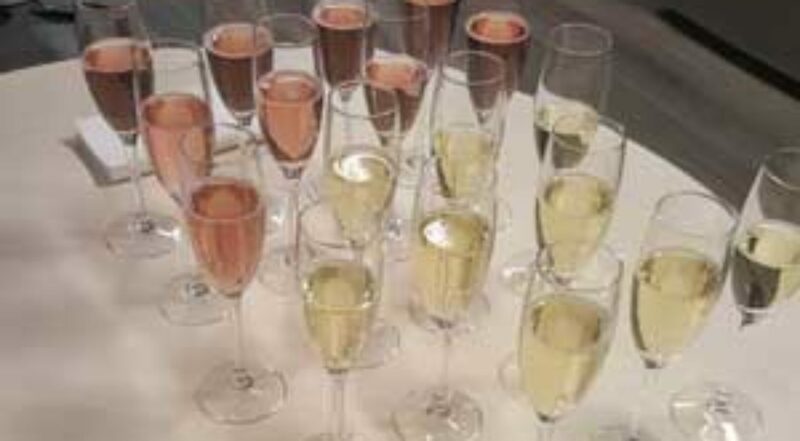 It started on Friday at 5pm at the University of New South Wales at the Michael Crouch Innovation Centre. After the welcome and introduction to the mentors and rules it was pizza time! After dinner, it was time to head up stairs and start hacking. All the teams found a space to claim their own and started putting a plan together. Some teams had an idea already, others formulated ideas late into the night. This is Daniel Bar who put this whole amazing event together. 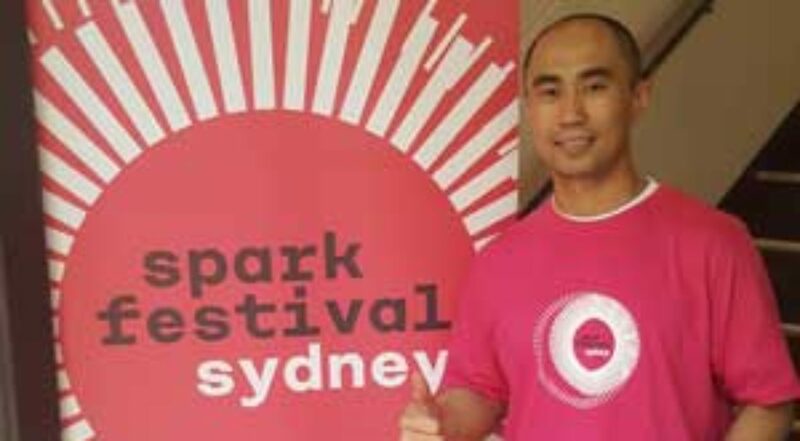 I had the opportunity to be part of the Sydney Spark Festival blockchain event that combined a showcase, a talk and a meetup all in 1 day from 2pm through to 8pm at a co-working space called the Fishburners. The showcase consisted of startups Bitfwd, Blueshyft, Block8, Dappbase, Devery, Flux, Incent sharing what they are doing in the blockchain space. At the same time upstairs were a range of talks on: Peerism: The Skill Token Economy for Post-capitalism – Nathan Waters ICOs and the Law – Hannah Glass Todd’s Crypto Bag of Tricks – Todd Byrne Pizza’s arrived at 6pm and let’s say there was enough to go around! The evening meetup was actually an ICO announcement of Solara. A sensor that will measure the amount of electrons generated from the sun and allow the owner to monetise it in siloed communities initially. They want to raise $15M from 100M tokens initially for phase 1. The vision is huge and will take 5-10 years to come to fruition but could be a game changer. The community is vibrant. There’s lots of innovation happening and there are seriously talented people around. 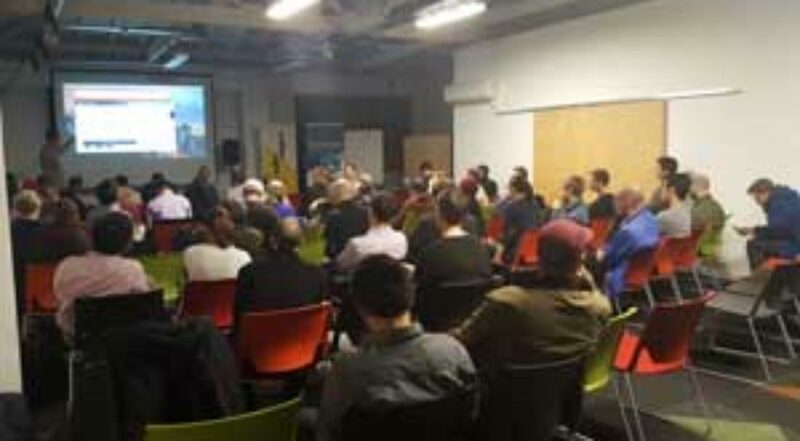 As Christmas draws near, the Wellington community came out in force for another blockchain meetup. This month we had a number of speakers from the community sharing their experiences in the blockchain world. I kicked things off with a talk on how I put my land title on the blockchain. Jose Higino shared his experience with Steemit, the blockchain platform where content creators can paid and the content is locked on the chain. Find Jose’s presentation notes, on Steemit of course, here. 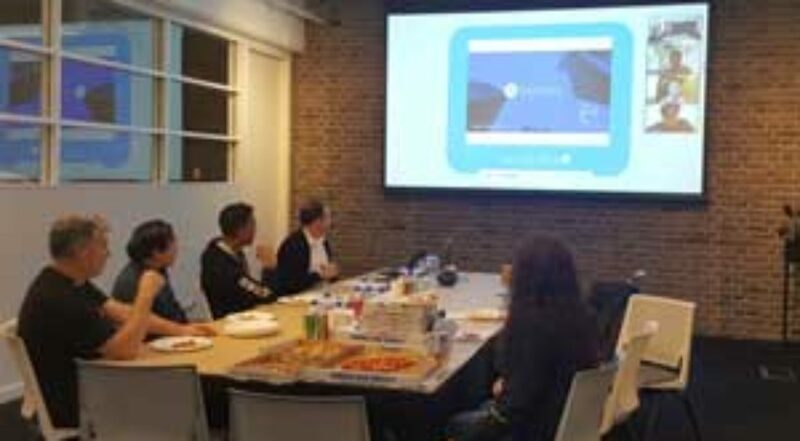 Tim Goggin talked about his experience of seeing how the state of Illinois are promoting grassroots communities and collaboration in the blockchain space with the launch of the Chicago Blockchain Center. See: US Government Supports Launch of New Chicago Blockchain Center Our final speaker Hamish MacEwan gave a hands on demonstration on an array of hardware wallets. In particular, Hamish show how paper wallets and the ledger nano works. Afterwards, we had the usual networking session also. Thanks to Jose, Tim and Hamish for contributing. I’m sure everyone managed to find something to suit their taste and walked away learning something new. 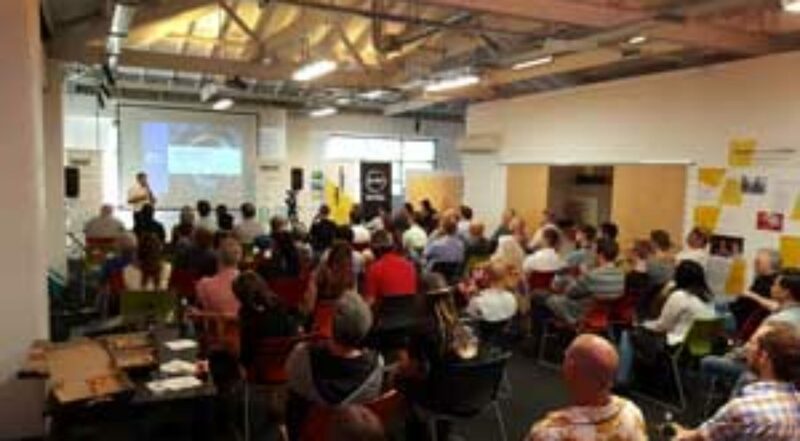 Thanks again to BizDojo for hosting and see everyone next month. 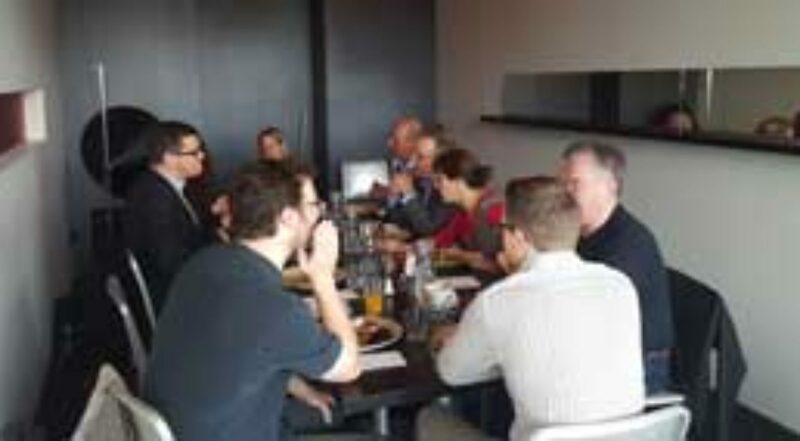 The tag line was “We couldn’t let Auckland have all the fun!”, so this morning the Blockchain Association of NZ (BANZ) hosted an executive breakfast in Wellington CBD. It turned out to be an amazing opportunity to get together at a different time and under different circumstances…. breakfast, the most important meal of the day! BANZ had been hosting breakfast events in Auckland for ~6 months if not more, but as awareness, education and adoption continues to grow, the idea is to take this concept to other cities around NZ. The audience was certainly different, the conversations more intimate and discussions deeper. There were 10 of us there at Trade Kitchen which had a private room for the occasion. There were a great mix of people with backgrounds in law, business development, IT, students and representation from government also. Now that the cat’s out of the bag, I’m sure the next one will even bigger and better. Stay tuned! 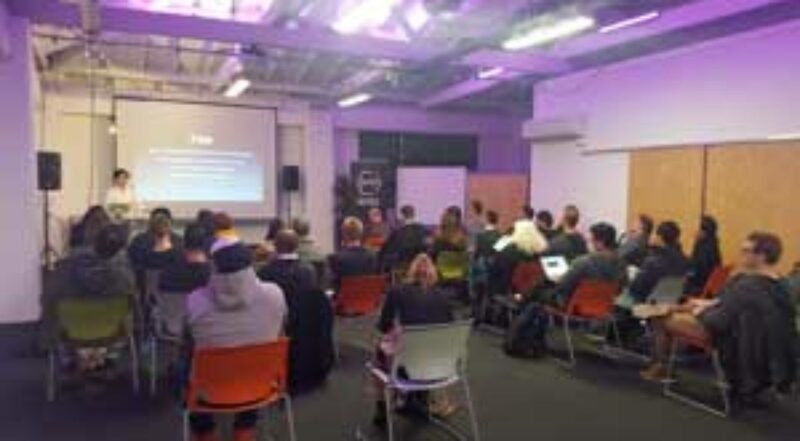 Just under 70 people turned out on a cold winters night at Bizdojo to the Wellington blockchain meetup on Wednesday night. It was the meetup’s biggest turn out to date. 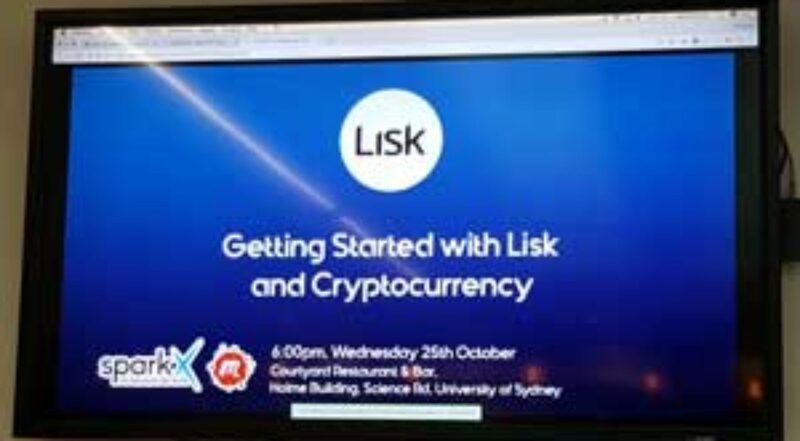 This month was a little different with Mark Pascall giving a detailed talk on “A beginners guide to wallets, buying bitcoin/ether and trading tokens”. Stephen Nicholas chipped in around taxation as well. It was just under 90 minutes covering all sorts of topics ranging from the different types of cryptocurrency wallets, to exchanges, tokens and ICOs. There were great questions and also valuable contributions from audience members. In particular, beware of scammers that buy domain names with slightly different spelling to legitimate exchanges and ask for users private keys. 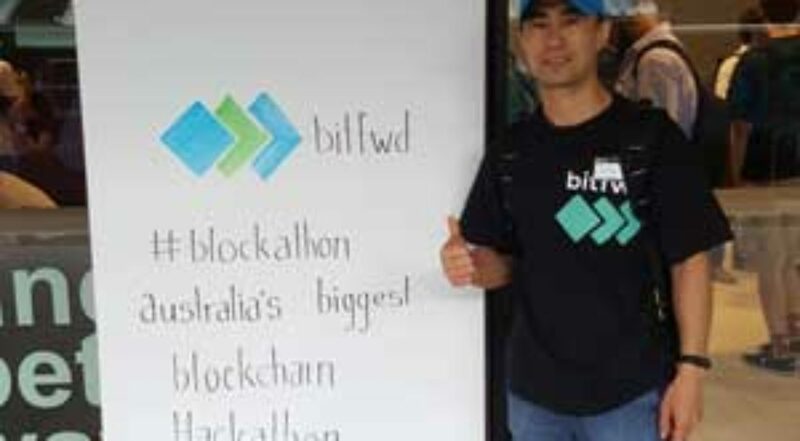 Thanks to BizDojo and BlockchainLabs once again!